In summer, there are large herbaceous plantings around the cottage garden and many other borders which carry the colour and scent on through the season, as well as a range of summer flowering shrubs. Autumn is a blaze of colour. Particularly outstanding are our collections of Maples, Liquidamber and Sorbus. In the spring the air is heavy with scent from Rhododendron luteum, Viburnum carlcephalum and Osmanthus delaveyi. 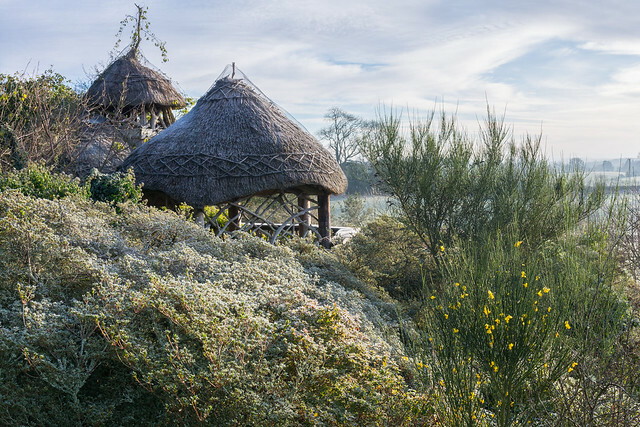 In winter, the collection of Heathers at Furzey provides bloom through the colder months and the Erica x darleyensis Furzey, which originated in this garden, is now accepted worldwide as one of the best winter-flowering hybrids. Take a look at our "Furzey Through the Seasons" Gallery below! You can read about Our Story HERE and learn about how Furzey Gardens and Minstead Trust provide valuable work experience and training for people with learning disabilities. Plan your visit to Furzey Gardens here! Minstead Trust is delighted to announce that it has taken over the management of Hanger Farm Arts Centre in Totton. Liam is supported by Minstead Trust to learn and maintain skills for independent living.